South Devon College is thrilled to announce reaching agreement for an exciting new partnership with Torquay United Football Club, with the club invited to use the world-class sporting facilities at the College, such as the brand new 3G pitch, to support their training programmes. L-R Craig Hutcheson – Community Sport Operations Manager South Devon College, Kyle Cameron – TUFC Player, David Hedges – TUFC Head of Youth, Aaron Downes – TUFC Assistant 1st Team Manager, Lynn Squire Head of Sport, Leisure and Hospitality Industries South Devon College, Gary Johnson – TUFC 1st Team Manager, Laurence Frewin Vice Principal Corporate Services and Deputy CEO South Devon College, Danny Gaze – Sport and Adventure Programme Coordinator South Devon College and Asa Hall TUFC Captain. Home to Pro:Direct Academy Devon, the College will further strengthen its role in nurturing the talent of future footballing stars within the local community with students able to witness the abilities of The Gulls up close, offering inspiration for one day forging a successful career in the sport. To kick off the agreement, the College recently played host to the Torquay United 1st team visiting the Paignton campus in meeting several members of the College’s Sport and Leisure team. 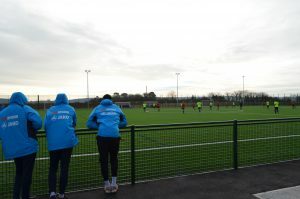 Currently enjoying an eleven game winning streak in the National League South, the team then showcased their skills on the College’s brand new 3G sports pitch with a friendly game against Pro:Direct Academy Devon which comprises many current South Devon College Sports and Coaching students. The 3G sports pitch is just part of the South Devon College Sports Centre, planned for opening later this month. The £3 Million community sports project, adjacent to the College’s Vantage Point campus in Paignton, will include world-class facilities such as the 3G sports pitch, MUGA (Multi Use Games Area) and official clubhouse. Acting as a central sports hub for local residents and students across South Devon to enjoy, the Centre will accommodate a wide range of sports and activities including football, basketball and netball. The purpose-built facility will further ensure the delivery of education and training across the College’s wide range of pathways, including South Devon High School, the further education and higher education curriculum and a range of apprenticeships. Torquay United Manager Gary Johnson said, “It’s great to hear of the club’s partnership with the College. The facilities at the College including the new pitch are at the highest level, suitable for any professional team. It’ll be interesting to see the local talent which will come through the academy in the years to come, the Sports Centre will go a long way to improving the standard of local football within the community”. For more information on hiring the facilities at the South Devon College Sports Centre, please visit sdcsport.co.uk or call 08000 380 123. 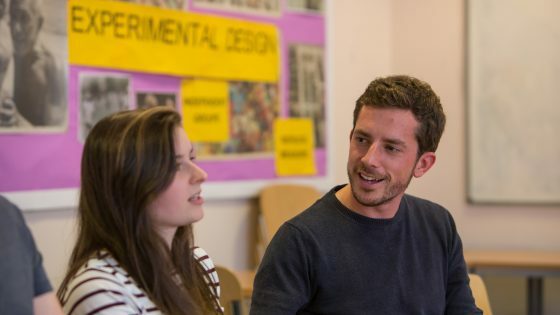 Alternatively, visit our next Open Evening on Thursday 24th January 2019, 4pm-7pm at the Vantage Point Campus, Long Road, Paignton TQ4 7EJ. Register your attendance here.